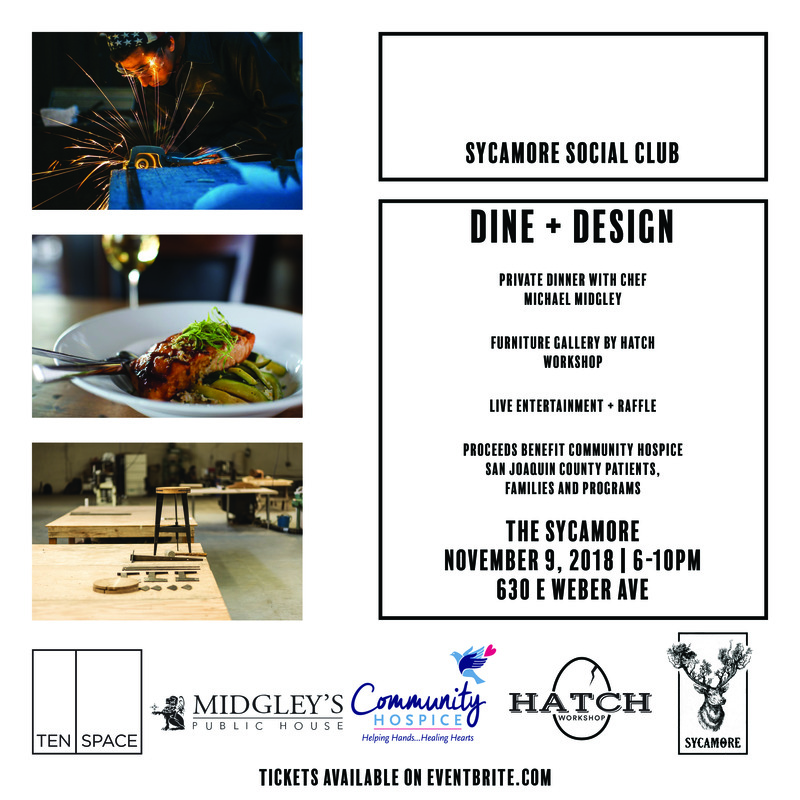 Coming this November is the next installment of Sycamore Social Club! We are super excited to host this event benefiting Community Hospice San Joaquin County patients, families and programs. Join Chef Michael Midgley for a private dinner and handmade furniture gallery curated by HATCH Workshop. Lots of excitement in store for this evening so make sure to get your tickets today!